Authorities are augmenting support for the Vietnamese workers victimised by a fire at a company in Taiwan on February 6. 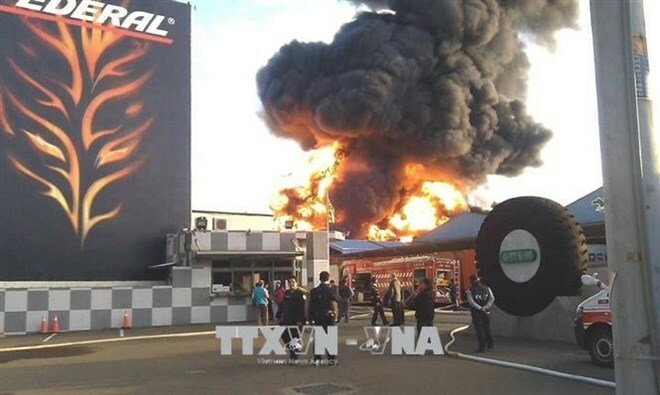 The fire broke out at a warehouse belonging to Kerry TJ Logistics in Guanyin district of Taiwan’s Taoyuan city at 10am, leaving three of the six Vietnamese working there dead, according to the Department of Overseas Labour of Vietnam’s Ministry of Labour, Invalids and Social Affairs. The management board for Vietnamese workers in Taiwan said all the labourers had been hired to serve as part-time workers for the company in the Lunar New Year holiday. However, the firm had not yet been licensed to hire foreign workers. The Department of Overseas Labour said it has requested that companies involved in sending those workers to Taiwan contact the victims’ relatives and help them handle procedures to go to Taiwan to solve relevant issues. 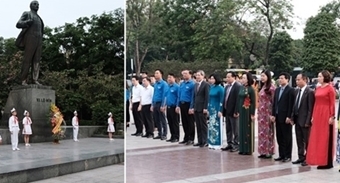 It has also asked the Taipei Economic and Cultural Office in Hanoi to facilitate the granting of visas for them. The Vietnamese worker management board has liaised with Taiwanese authorised agencies to learn about the incident. It has also demanded an investigation and requested that the Taiwanese employer pay appropriate compensation and coordinate to handle the incident. Representatives from the board have also visited the injured workers in a local hospital.